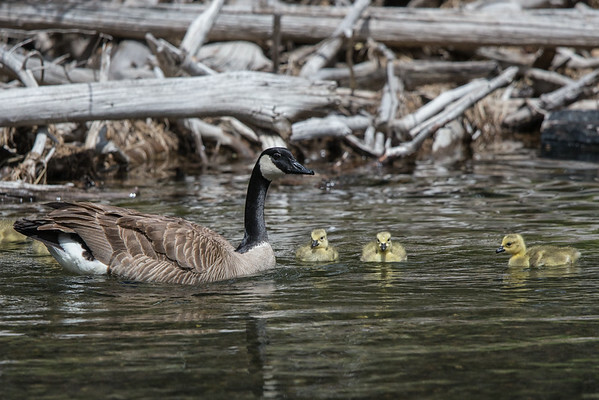 Geese (aka Canada Geese, Canadian Geese) one of the most common geese found throughout North America. 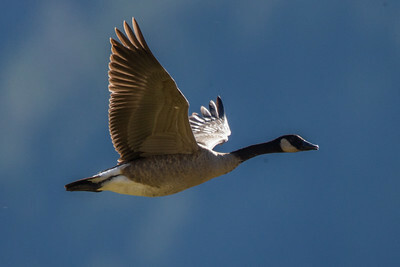 Canada Goose heading south as winter approaches. 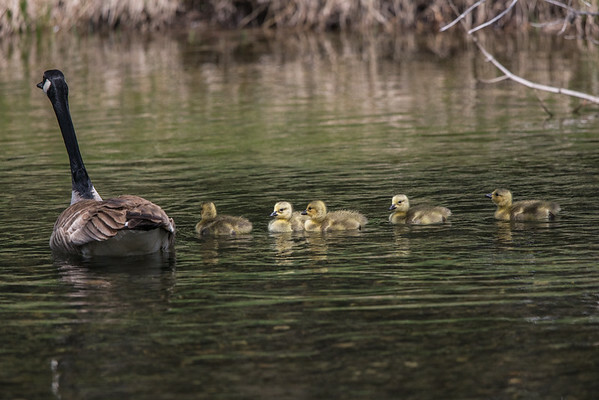 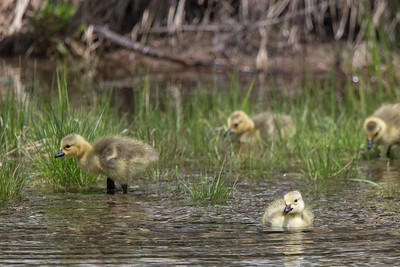 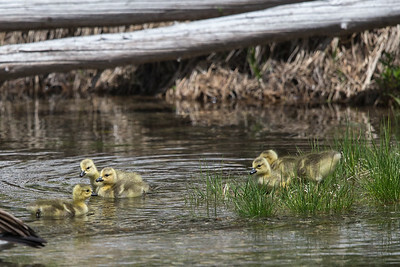 Canada geese goslings at Nez Perce Bend in Yellowstone National Park.